I just love making handmade gifts for Christmas, especially for the grandparents! 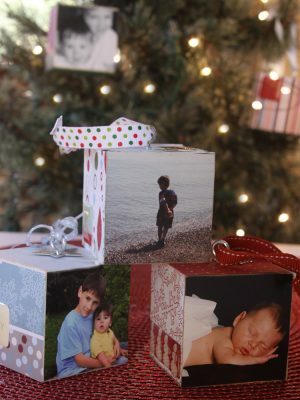 I made these wooden photo ornaments for my relatives that don’t get to see my kids on a regular basis. I love that you can makes these every year and you can see how your kids have changed from year to year. 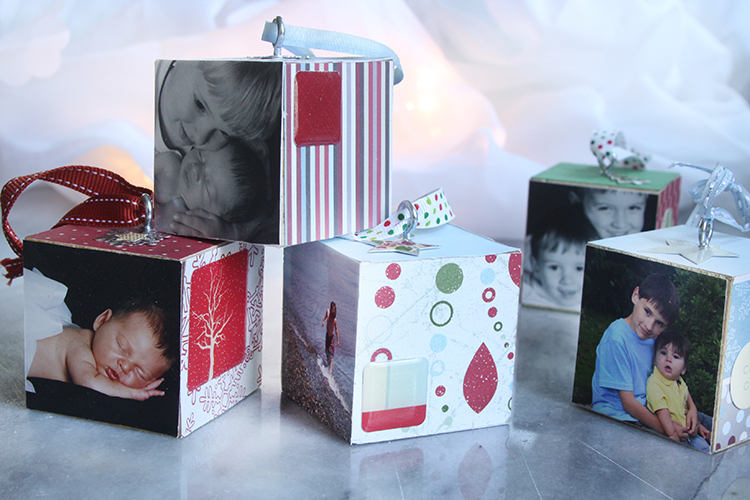 Here is what you need for these cute and fun ornaments. First you will want to sand the wooden blocks with sandpaper until wood is smooth. Select the paper you want to use. 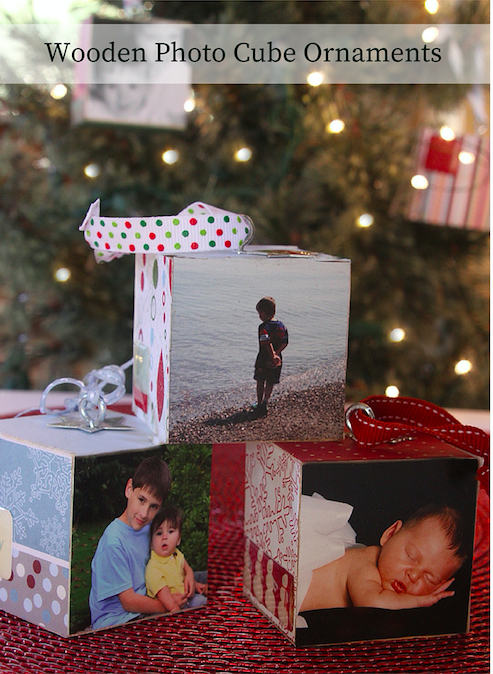 I put 2 photos on each ornament and 4 pieces of paper (top. bottom, and two of the sides). 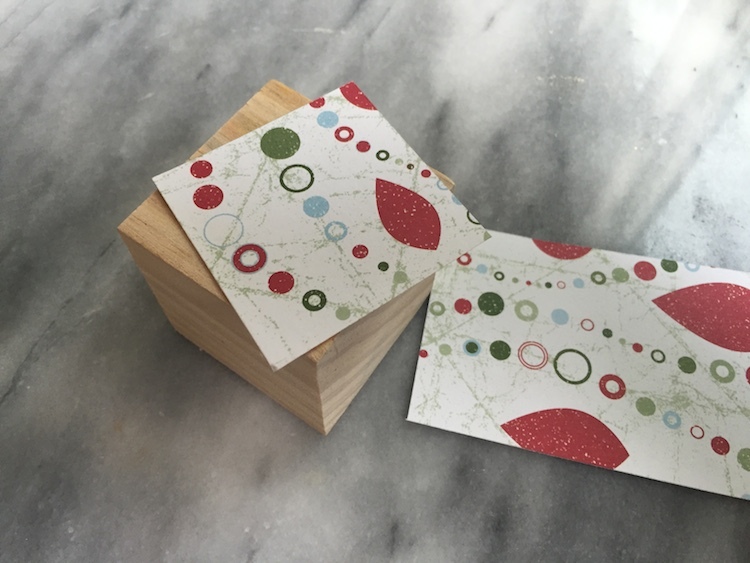 Cut and glue the paper to the wooden blocks. 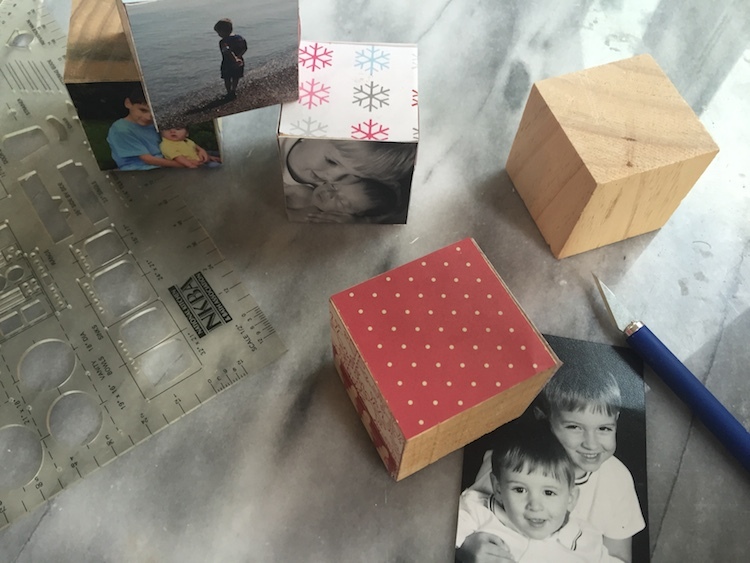 Pick two photos, cut and glue them to the wooden block. Add embellishments. 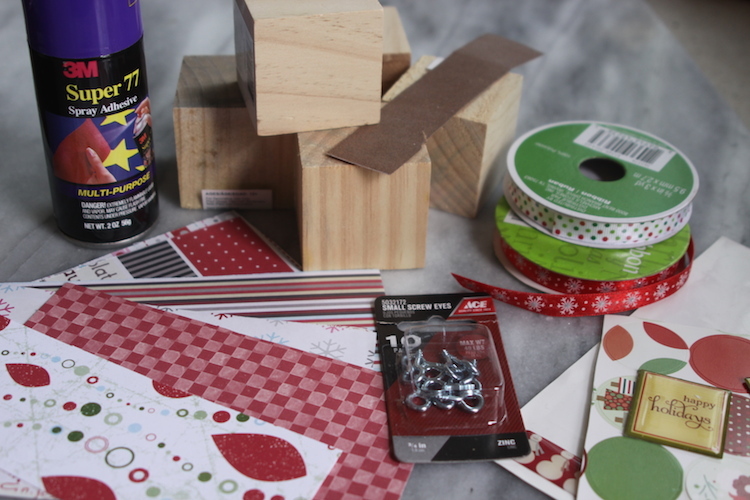 Set aside and let glue completely dry. 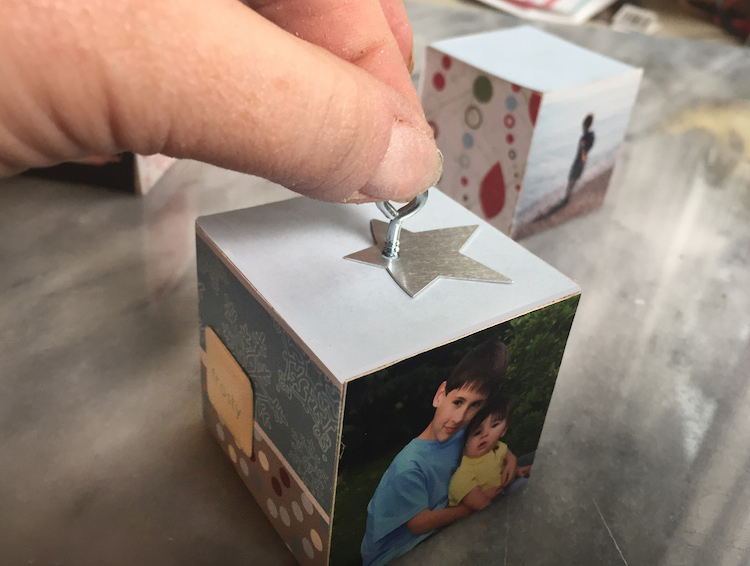 For the final step, add one small screw eye to the top of the cube and attach ribbon so you can hang it on the tree. I recommend finishing them off with a clear spray so everything stays in place. You can choose a matte or glossy finish depending on your preference. I think these would also be a cute way to display photos on a bookcase too. You could just leave the top without the hardware and stack to display them. Do you cut your own blocks or can you buy them that way?